The administration's plan has been closely guarded and months in the making. With Israeli Prime Minister Benjamin Netanyahu's reelection victory secured, the Trump administration is preparing to roll out Jared Kushner's "peace plan" as early as this month, sources familiar with the plan tell ABC News. The text hasn't even been shared with allies, including the Israeli government, the U.S. officials said. Those familiar with the plan said it aims to bring a non-traditional approach to addressing the seemingly intractable Israeli-Palestinian conflict by including a robust economic development package for the Palestinian people and seeking to address political elements of the conflict. The White House declined to comment when asked about details of the plan. 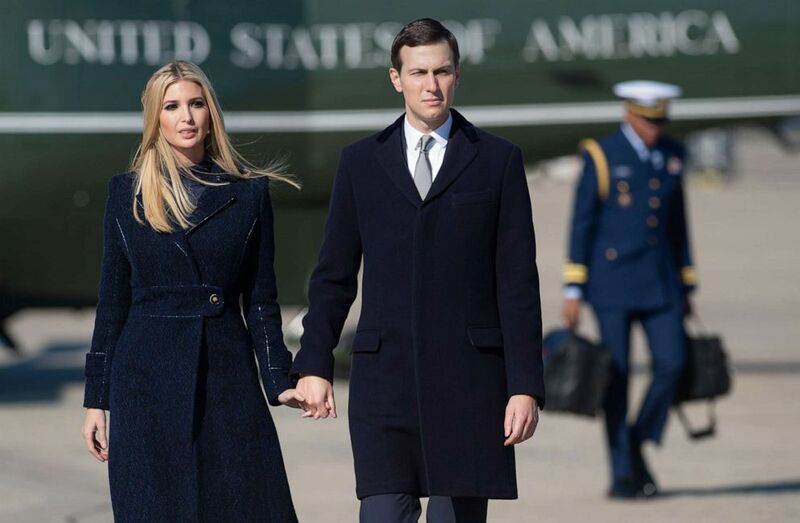 (Saul Loeb/AFP/Getty Images, FILE) White House senior advisors Ivanka Trump and Jared Kushner, walk to Air Force One at Joint Base Andrews in Maryland, Oct. 30, 2018. Kushner and his team traveled to several Arab countries in February to brief diplomats on the economic aspects of the peace plan. An official said some of the broad economic concepts of the plan were warmly received, in principle, during that trip. Though the plan's release could come this month, sources cautioned a release date has not been finalized and that the administration is weighing a variety of factors. Potential causes for delay could include the upcoming holidays of Passover and Ramadan. Early in his presidency, Trump tasked his son-in-law with working on the Israeli-Palestinian issue as one of his high-profile assignments in the White House. In describing his hopes of achieving peace, Trump has referred to a prospect as "the ultimate deal." 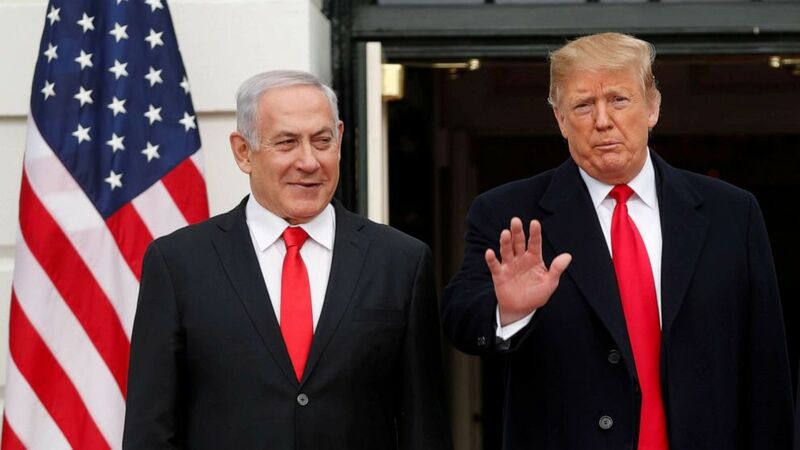 "The fact that Bibi won, I think we'll see some pretty good action in terms of peace," Trump said at the White House when asked by a reporter if Netanyahu's victory meant he would soon release the administration's peace plan. (Carlos Barria/Reuters) President Donald Trump gestures to gathered news media as he welcomes Israel Prime Minister Benjamin Netanyahu to the White House, March 25, 2019. "Everybody said you can't have peace in the Middle East with Israel and the Palestinians," Trump said Wednesday. "I think we have a chance. And I think we have, now, a better chance with Bibi having won." Netanyahu has said he welcomes an opportunity to review the plan. "I look forward to receiving the plan, and we will look at it once it's presented," Netanyahu said in February, during a meeting attended by Vice President Mike Pence and Kushner in Poland. "I have to say that I know the Trump administration seeks to ensure the security of Israel for generations."